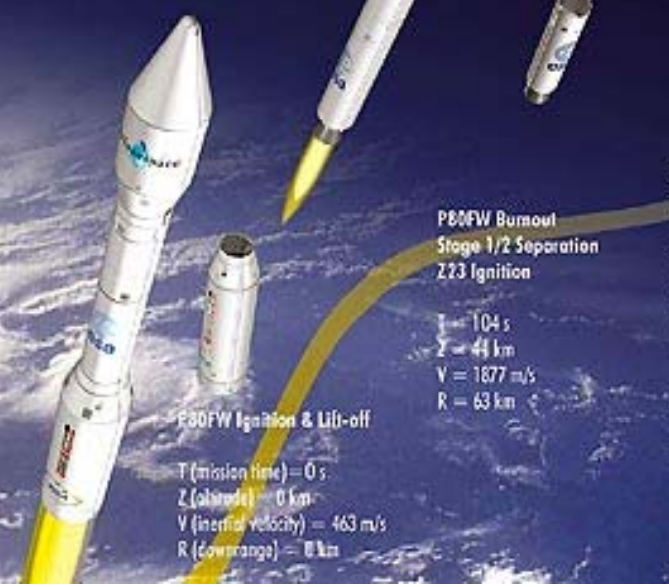 Vega is an expendable launch system in use by Arianespace. 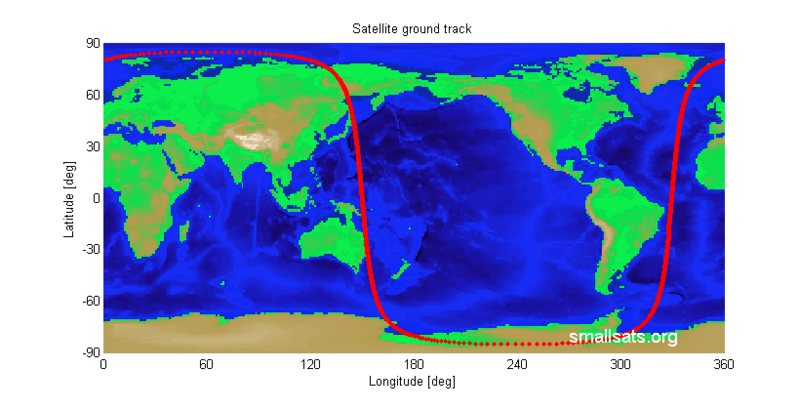 Its jointly developed by the Italian Space Agency and the European Space Agency. First time it was launched from Guiana Space Center on 13 February 2012. 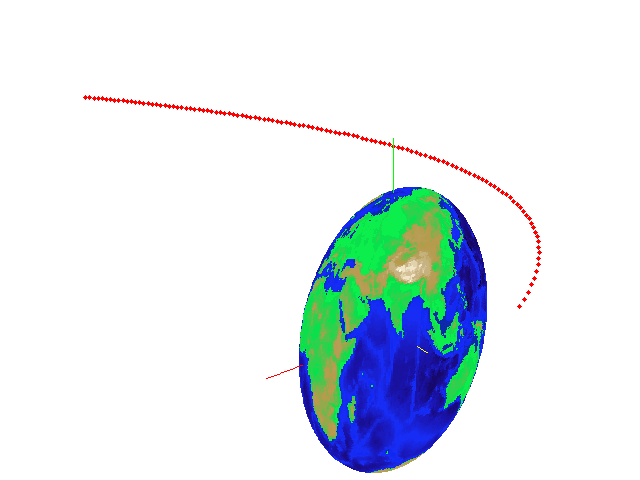 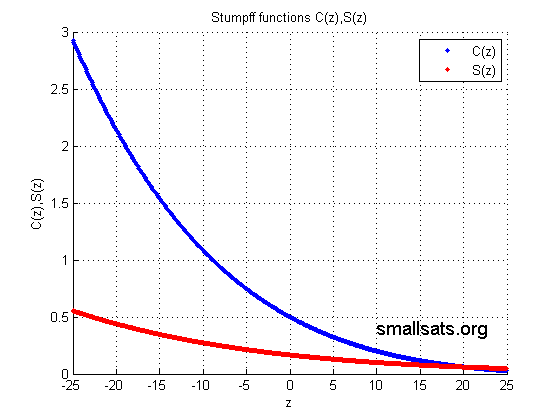 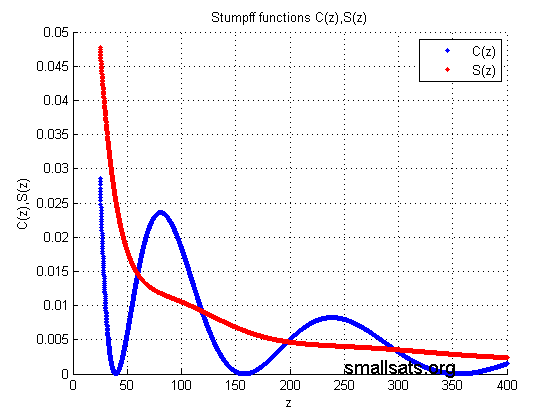 In this example we show how to simulate rocket launch trajectory. 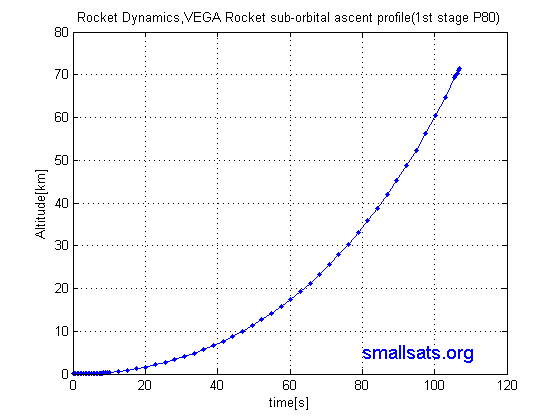 VEGA rocket data from VEGA Users Manual/ The full sub-orbital ascent profile simulation coming soon !! 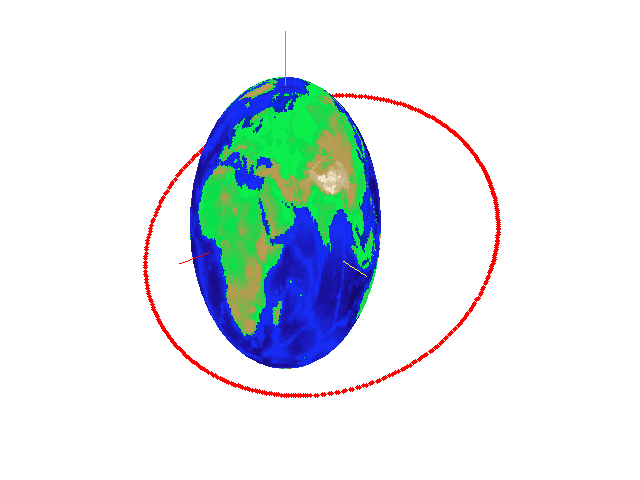 v0 = 0;   % Velocity (m/s)  % Earth's Rotation considered in eq of motion. 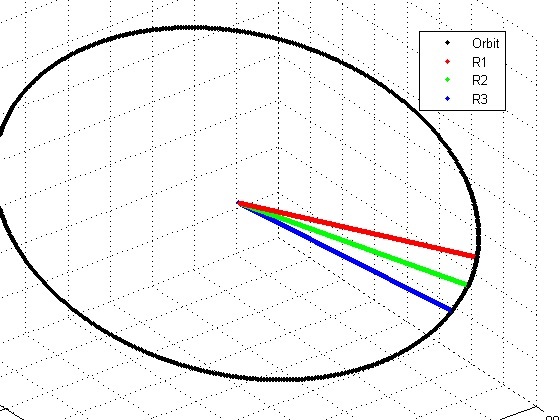 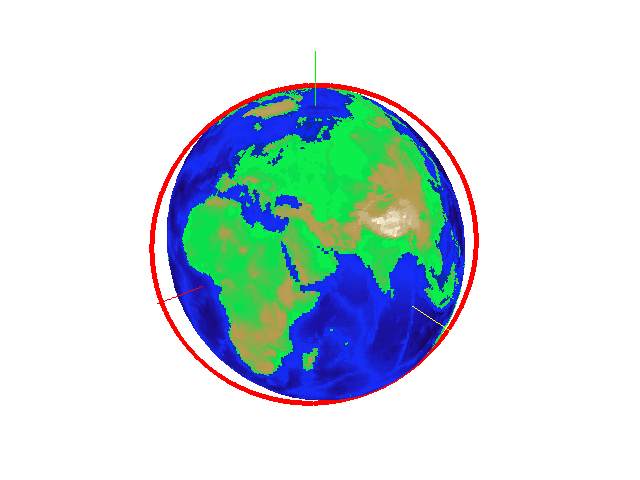 This example will show how to use 3 earth-centered position vectors of a satellite R1,R2,R3 at successive times to determine satellite orbit.